On this cruise to the River Shannon, we have to pass under some pretty low bridges. The Shannon Erne Waterway is in flood following the recent heavy rainfall. Our Cruise to the Shannon is not easy with low bridges and the River Shannon itself is also very high. The higher water level brings with it some unexpected problems, it’s not just the problems squeezing under the bridges, the likelihood of running aground is also much higher. 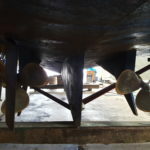 Fitting Sacrificial Anode On Boats and treating rust with rust converters: This episode is all about maintaining below the water line. Different types of anodes, zinc, magnesium, and aluminum as how to use them to prevent corrosion. The annual shake down cruise is a bit of a tradition. It is usually sometime around the middle of March, St Patrick’s Day weekend if the weather is good enough or there abouts. The idea is to flush out any problems that may get bigger over the coming boating season. 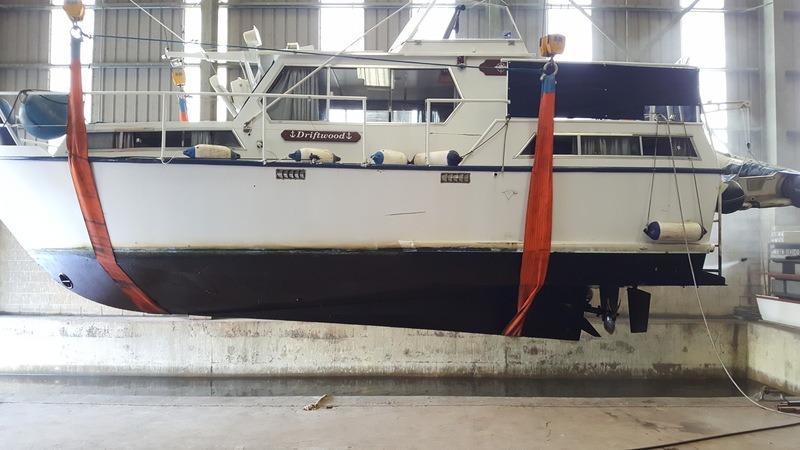 And I have found over time that most boats will oblige by providing you with at least one expensive issue that will need resolving immediately, will cost twice as much as you expected and will take three times longer than expected. Such is boating. The ability to laugh at oneself and one choice of boat is a good quality to have. In the water Driftwood is alive and spirited, but on the hard she is awkward and tall. That lively gentle motion of a living boat is replaced by a temporary rigor-mortis. 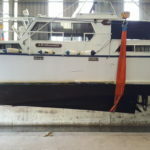 I feel I need to get the work done a quickly as possible and get her back into the water without any unnecessary delay. None of what I’m getting done is going to improve her looks. This is not aesthetic maintenance. Back in the water all the work will be hidden from view. But I’ll know it was done and that’s what matters. 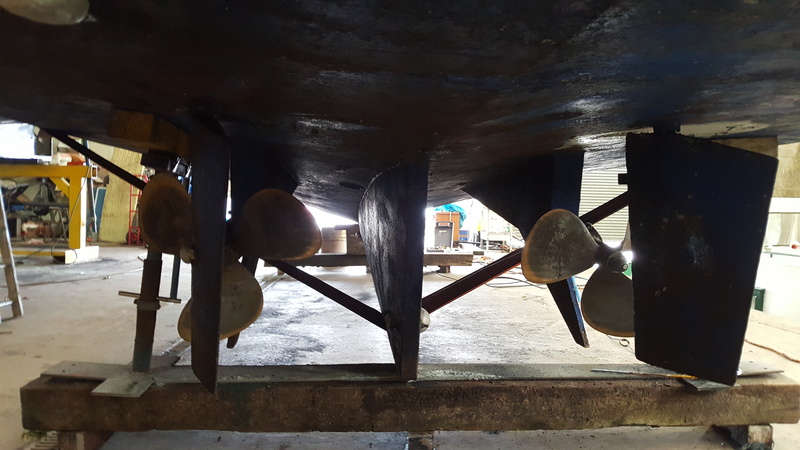 I need to add expensive anodes beneath the waterline, like a pretty lady donning diamond earrings that will never be seen beneath her long hair. But still she feels better knowing that she is wearing them. Today we had Driftwood lifted out of the water to do a few jobs on her bottom. Now the first thing is that boats do not like being out of the water any more than fish do. I get real nervous when I see her balancing on some boat stand where she is putting all her weight on just a few Sq. inches instead of her weight being spread throughout all of her hull as happens when she is in the soup. Shannon Erne Waterway – There’s work to be done! Here’s what we plan to do on the Shannon Erne Waterway over the next few days and weeks. We tell you about a bit of work we did and a few bits that still need to be done. Also we reveal our plan to get Driftwood lifted for a paint and anode job. This is the electric boat launch on the Canal at Ballinamore in County Leitrim, Ireland. It’s at Ballinamore Marina and it’s a fantastic piece of kit. See how they remove this small barge off the trailer and launch it with no crane or launch trailer. Check out our shop at https://www.driftwood.tv/shop where you get your hands on our book “Driftwood from the Shannon to the Marne” the humorous account of our first ever venture into the sea, and on to the French inland waterways. The Irish Coast Guard do a fantastic job and we met them when they paid a visit to Enniskillen in Northern Ireland. They have a number of helicopters stationed at various locations through out Ireland and provide cover both north and south of the border. In an unrelated incident we met the Mummers on Lough Erne and Bobby Forrest told us all about them. That’s all coming up! Do you know what? There are some days in the middle of winter that are every bit as nice as a good summer’s day. And when we recorded this video it was on one such day. How lucky were we? The good weather made what is a really beautiful waterway look even better, and when you consider that it’s the middle of winter, just imagine what it looks like in the spring or the summer. That’s a silly title really because there are no scenes when you vlog, not as such. We try to make it just us being us as much as we can. So far we have avoided showing us brushing our teeth in the mornings which seems to have become the vlogging base line. But driftwood.tv is really a blog not a vlog and through it I’ll open a window or two into our lives a little wider. 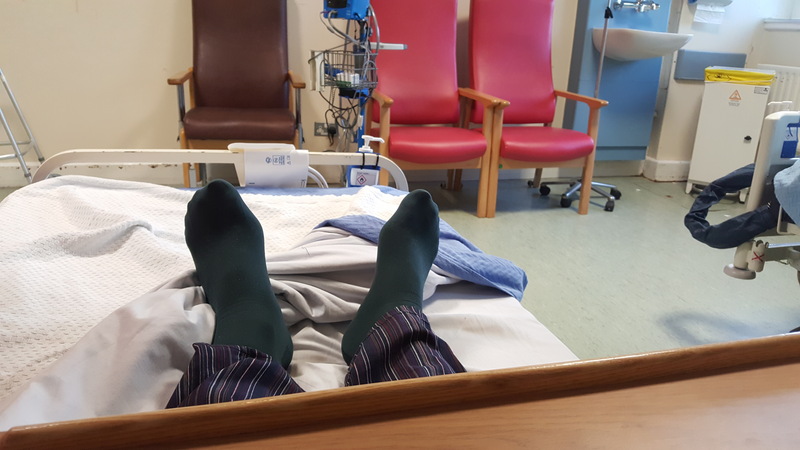 I’m writing this from my bed, well I say my bed but it’s not mine really, it belongs to the HSE, or to Portinuncula Hospital in Ballinasloe to be a little more pedantic about it. 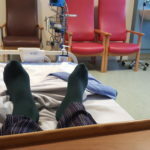 This is the exciting view from my bed! I’ll spare you the details of what’s wrong with me because I’m assuming that gastrointestinal side of biology is not a fascinating topic of discussion for you, as it isn’t for me. But don’t worry it’s nothing too serious. 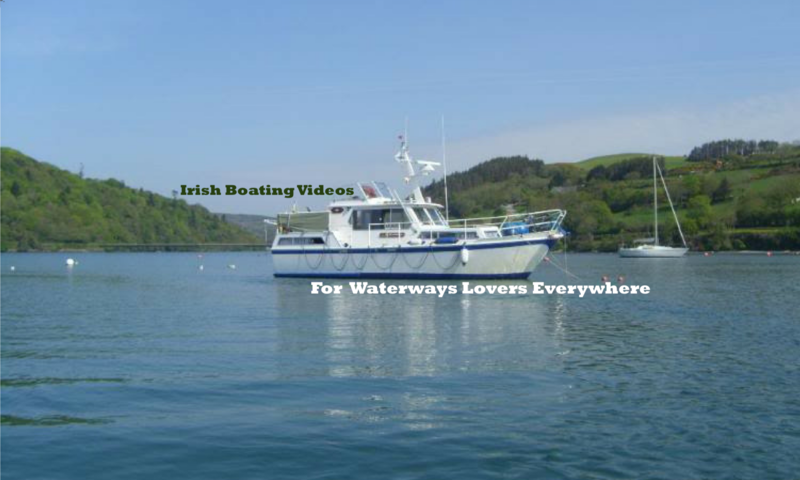 Boating Ireland – Winter on the water is a short video showing you how it can be when you go boating in Ireland in the winter. It’s actually surprisingly comfortable and still very enjoyable. Just make sure you’re dressed in the right cloths (which means all your cloths!) and you have a source of heat in the boat. You can enjoy Boating Ireland almost all year round. But people normally lock up their boats for the winter. Normal people that is! We like to go boating in Ireland for as much of the winter as is possible. Okay so it’s not the best boating Ireland and most of the winter time boating is just not possible, but there are days when you can get out and enjoy a fine winter day boating in Ireland. Come along and join us.